Ever feel uncomfortable on the Upper Westside? Maybe it’s all the Satanists on CPW. Roman Polanski’s Rosemary’s Baby (trailer here) might be the all-time classic Upper Westside film, but it is far from a valentine to the Manhattan neighborhood. Forty years after its initial release, it still ranks as one of the great fright films. Starting today (Halloween), Film Forum celebrates Rosemary’s anniversary with a weeklong screening of a new 35M print of Polanski’s classic. Rosemary is probably Polanki’s most subtle and insidious directorial work. The horrors we don’t see are scary as all get out. Unlike contemporary splatter fests, Polanski masterfully plants unsettling seeds which get under the audience’s skin to sprout in our imagination. Rosemary and Guy, played by the seemingly mismatched but surprisingly credible Mia Farrow and John Cassavetes, seem to subscribe to very different values. Guy professes atheism and expresses scorn for the Catholic Church. Rosemary bitterly clings to her religion. She yearns for children—Guy, not so much. These are the sort of differences that are often rationalized away, but persist, causing deep-seated fissures between people. It is such fundamental differences between the Woodehouses that their weird neighbors, Minnie and Roman Castevet exploit for their evil purposes. It seems Rosemary is not the only one interested in seeing her pregnant. When Guy finally agrees, what starts as a romantic evening descends into the realm of nightmare, with Rosemary hallucinating a ravaging by Old Scratch himself, as Guy leers on. In a famous line, she cries out “this is not a dream, this is really happening.” Though alienated and increasingly isolated during a difficult pregnancy, the audience maintains reasonable confidence in Rosemary’s point of view. Polanski has already set down too many markers for us to lose our way—problematizing reality is not a game he is looking to play here. In fact, Rosemary is pretty unique in the genre, holding up quite well in retrospect. Though a little over two hours, Polanski’s story-telling is quite economically, with all the pieces fitting together snugly. The stately but foreboding Dakota (a.k.a. the Bramford) apartment building makes quite an eerie backdrop. The performances have aged well too, particularly Oscar winner Ruth Gordon as the funny-scary Minnie Castevet and Sidney Blackmer as the ingratiatingly evil Roman. Rosemary is also another fine collaboration between Polanski and Polish jazz musician and film composer Krzysztof Komeda. Sadly, it would be their last. Soon after the film’s release, Komeda and Rosemary’s infamous producer William Castle were admitted to the same hospital for emergenc y treatment. Castle would eventually check-out. Komeda did not. Encompassing both creepy mood-setters and groovy swingers, Komeda’s music for Rosemary always perfectly compliments the on-screen action. Years later, Komeda’s lullabye for the film, “Sleep Safe and Warm,” would become a staple for his protégé Tomasz Stanko. Rosemary stands head and shoulders above the gory low-budget dreck churned out on conveyer belts today. Rosemary is scary because it depicts the seductiveness of evil. A film like Hostel is frightening because its sicko filmmakers are walking around loose in the world. Seeing Rosemary on the big screen is a legitimate Halloween treat. It runs at Film Forum through Thursday. During WWII, the International Sweethearts of Rhythm were one of the top big bands in America, not just among all-women orchestras, but overall. However, with the end of the war and the return of musicians who had enlisted or were drafted, the Sweethearts found themselves squeezed out of gigs, as did most of their fellow all-women bands. While some video survives of the band (like these performances), it is not like there is an excess supply of archival footage available to fans and scholars, so the recent preservation of That Man of Mine is a welcome event. The preserved print of Man screened at MoMA last night as part of their To Save and Protect film preservation series, with its star Ruby Dee in attendance. While Dee shows an undeniable screen presence in Man, the caliber of acting overall is frankly subpar. However, the music is what makes the Sweethearts’ Man. With vocalist Anna Mae Winburn fronting the band Cab Calloway style, the Sweethearts featured some top-notch jazz instrumentalists, including Viola Burnside on tenor and Ernestine Davis on trumpet (who takes an excellent solo turn in Man). The Sweethearts were often compared to the Basie organization, with good reason. They shared a common arranger in Eddie Durham, developing a similar KC jump sound (by way of Mississippi). Man was produced by William Alexander, a pioneering independent African-American filmmaker. His early films were largely musical, which allowed him to generate more revenue by editing musical numbers for separate release as “Soundies.” Indeed, Man is not at all ambitious in terms of story development. Though oddly self-referential for the time, the on-screen drama of whether or not Dee’s ingénue will be cast in William Alexander’s upcoming International Sweethearts of Rhythm film, is perfunctory at best. The real point of the film is the music of the ISR. Man is also notable for an appearance by Henri Woode, an unsung swing arranger and the uncle of Ellington bassist Jimmy Woode, seen directing the sextet accompanying leading man Harrell Tillman during his crooner feature. Man is classic music, if not great drama. It represented a unique confluence of talent. Unfortunately, the ISR’s star would wane in coming years, but they were still quite popular in 1947. Ruby Dee was just embarking on what would become an acclaimed film career. Alexander continued scratching out films, winning an award at Cannes for a short documentary. His final film would be 1974’s The Klansman, starring Lee Marvin, Sir Richard Burton, and O.J. Simpson. Preserved not restored, the print of Man still shows its age. However, the music of the International Sweethearts still makes for entertaining viewing, so hopefully it will reach a wider audience thanks to the efforts of the Women’s Film Preservation Fund and MoMA. In 2000, Polish director Andrzej Wajda was awarded an honorary Oscar, an accolade typically bestowed on filmmakers whose most productive years are presumed behind them. However, eight years later, Katyń, Wajda’s most personal film yet, was nominated for the Best Foreign Language Academy Award, suggesting his creative drive is far from diminished. Though Wajda initially made his international reputation with work set during World War II, beginning in 1976, he daringly addressed the realities of Polish life under Communism in with a series of films, which ultimately led to his exile in France. Still highly relevant for addressing the corrupting power of propaganda, Man of Marble, the first of Wajda’s so-called “Solidarity” films, screens Friday, as part of the Lincoln Center Film Society’s Truth or Dare Andrzej Wajda retrospective. Agnieszka believes in doing things the hard way. She is risking her entre into Polish television with her risky film school thesis. While everyone wants her to do another tedious industrial documentary, she has her sights set on Mateusz Birkut. Once a lead worker celebrated in Stalinist-era propaganda (including a grandiose marble statue since relegated to the National Museum’s basement “ash-heap of history”), Birkut mysteriously disappeared from public view, presumably for running afoul of the Communist authorities. Though discouraged at every turn, Agnieszka slowly starts to piece the puzzle together through lost film of his workers’ collective and reluctant interviews with his contemporaries. Birkut originally came to prominence for supposedly breaking the single shift brick-laying record. 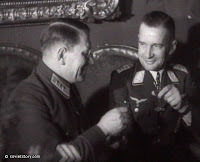 However, the newsreel director who recorded the event confides to Agnieszka how he manipulated and outright fabricated aspects of the episode for propaganda purposes. Yet poor guileless Birkut originally accepts everything he is told at face value. As a result, when he falls out of favor with the Party for championing workers’ rights, it is wrenchingly difficult for him to adjust to life when essentially persona non grata. Jumping back and forth in time, we see Agniewszka tangle with censors, while Birkut endures a humiliating trial for vague counter-revolutionary crimes. Pre-dating the formal establishment of Solidarity by four years, it is amazing Marble was made at all. It was indeed censored by the state prior to its initial release, but its sharp criticism of Polish Communism, both past and present, remained unmistakable. Still, Marble is more than a mere protest movie. It is quite a visually exciting film, employing long shots and odd angles to tell Agnieszka’s story. The groovy soundtrack also nicely roots the contemporary story in the 1970’s. Both Krystyna Janda and Jerzy Radziwilowicz bring nuance and a sense of humanity to the roles of Agnieszka and Birkut, respectively. A tribute to true independent filmmaking, an expose of life’s precariousness under Communism, and an homage to Citizen Kane, Marble is a classic of international cinema. It screens at the Walter Reade this Friday and the following Sunday. You will find near unanimity among fans and critics alike that Sonny Rollins is the greatest living jazz artist. However, he has long held a reputation as a “live” musician, more comfortable in a concert setting than in the studio. 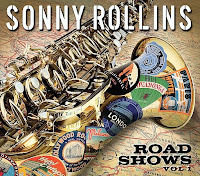 Happily, now that Rollins records for his own Doxy label, he has begun an ambition program of live releases culled from the tapes of nearly 200 concerts recorded over roughly a twenty-year period, with the inaugural release, Road Shows Vol. 1, on-sale today. Vol. 1 kicks off with “Best Wishes” from Rollins’s unfairly overlooked Reel Life album, currently available only as a Japanese import. It is a brisk, clean-sounding up-tempo workout, recorded live in 2000 during one of his frequent Japanese concerts. In Robert Mugge’s documentary Saxophone Colossus, Rollins discusses his special relationship with Japan, speculating his Caribbean roots gives him an island-centric affinity with the nation. Indeed, Japan is the only country represented more than once on Vol. 1, with “Wishes” recorded in Tokyo and a tour-de-force rendition of “Tenor Madness” (his classic standard which he first waxed in 1956 with John Coltrane in their only recorded pairing) captured during a concert in Tama City. Rollins has often taken inspiration from his Virgin Island heritage, frequently recording calypsos, beginning with “St. Thomas” on his album Saxophone Colossus, perhaps the most analyzed “non-concept” record in music history. Vol. 1 premieres his newest calypso, “Nice Lady.” Highly danceable and hummable, it still shows both Rollins’ artistry as an improviser and his sense of humor. Rollins credits Coleman Hawkins as his first great influence, which you can still hear when he wraps his big, hearty tone around a ballad like “Easy Living.” Recorded in Poland about a month after the founding of Solidarity in 1980, the audience sounds particularly enthusiastic for Rollins’ music (and perhaps the freedom jazz represents). Fifty-two years after Saxophone Colossus first amazed listeners, there really is little left to be said about Sonny Rollins. For the hand-selected live tracks of Vol. 1, “here it is” would probably be sufficient. It is Rollins at his most vigorous and inventive. Bob Dylan didn’t come out of nowhere, but for some, Hibbing, Minnesota is probably close enough. His music did not come down from the pure blue sky either. His well established country, blues, and roots influences are now documented for a popular audience in the recent DVD release Down the Tracks: Music that Influenced Bob Dylan. Diehard Dylan fans might have mixed emotions about Tracks, because its subject and inspiration is never heard from directly, only appearing in still photos and limited archival video (sans audio), presumably due to clearance difficulties. However, Tracks takes viewers on a brisk tour of the Americana music the Lomaxes, father John and son Alan, spent their careers recording and preserving. In fact, John Lomax appears with Dylan influence Huddie “Leadbelly” Ledbetter, in clips from the rather stilted and patronizing cinematic recreation of their initial meeting in the Angola State Prison Farm. While Tracks might not leave fans feeling anymore intimately acquainted with Dylan, it offers several good jumping-off points for the artists who came before him. It would be very cool if some of Dylan’s sizable audience became intrigued by Rev. Gary Davis on learning from Folk Revival producer Joe Boyd a tidbit like: “[for] a lot of the New York folkies, to the degree that they had real skill on the guitar it was very often because they had taken lessons from Gary.” Though relatively brief (just over ninety minutes), Tracks shotguns in quite a bit of American roots music, for an interesting, if indirect tribute to the inscrutable singer-songwriter. In a pivotal scene from the Academy Award winning The Lives of Others, a famous playwright discovers the extent of the Stasi’s surveillance of his life when he accesses the secret police’s files after the fall of Communism. The members of the Polish avant-garde dramatic company The Theatre of the Eighth Day had a similar experience, but were fully cognizant of the Polish Security Service’s interest in them at the time. In an act of artistic jujitsu, the Eighth Day adapted those bureaucratic reports into a theatrical statement on both their personal histories specifically and the Polish experience under Communism in general. 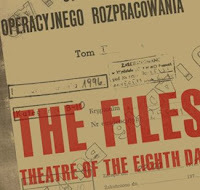 Simply and appropriately titled The Files, it opened in New York last night at the 59E59 Theater as part of the Made in Poland series of contemporary Polish plays. Founded in 1964, the Eighth Day’s experimental impulse quickly earned the suspicion of the Communist authorities. Ironically, it was the Security Service’s persecution which pushed the group towards risky political work, despite their original intentions. Members of the Eighth Day were under constant surveillance. Their homes were frequently searched and prospective employment was often sabotaged. Periodically, they even faced trumped up misdemeanor criminal charges, all because of the perceived political “hostility” of their productions. Even when the Eighth Day was not necessarily political, one can see how their improvisational ethos would inspire the wrath of the secret police, especially given the rather far-out nature of some of their collective improvisations, as seen in Files through projected archival film. Any exercise of freedom, including artistic improvisation, becomes a political statement in such a regimented environment. Eventually, Borowski, Kęszycki, and Tadeusz Janiszewski recreate on-stage scenes from Sale for Everyone and Oh, How We Lived in Dignity, which also display a pronounced absurdist tendency in their work. The three men prove quite physical in their interpretations of the material, while the elegant Ewa Wójciak watches in apparent amusement. After enduing years of harassment, Martial Law, and eventual banishment, the Eighth Day returned home in 1990, assuming a leading role in Polish contemporary drama with topical work like The Time of the Mothers, which addresses the Russian Dirty War in Chechnya, and of course, The Files. Wójciak and Katarzyna Madon-Mitzner have reshaped these cold, stilted historical documents into an unusual, but enlightening theater experience. The Eighth Day resists outright triumphalism in The Files, but still offers a clear measure of inspiration by ascribing their survival to “inner freedom,” as defined by Soviet dissident Vladimir Bukovsky. It is a worthy lesson in the true nature of statist government from a singularly distinct company of actors, highly recommended for theater patrons receptive to more thought-provoking fare. It plays a limited run at 59E59 through November 9th, followed by a three night engagement at Indiana University starting on the 13th. Vampires can’t crash your party. They have to be invited in. A wave and nod will not do either, it has to be an unambiguous invitation, at least according to Tomas Alfredson’s Swedish coming-of-age tale of vampirism, Let the Right One In (trailer here), opening today in select cities on the coasts. Twelve year-old Oskar looks like a vampire himself. Pale and gaunt, the sensitive student gets picked on relentlessly. Having no close friends and little supervision from his separated parents, Oskar spends a lot of time alone with his revenge fantasies. One cold, dreary night he meets Eli, the neighbor girl who coincidentally moved to town around the time a rash of mysterious disappearances began to plague the town. She does not go to school, but she can sneak up on you real quiet-like and she seems impervious to the cold. Oskar finally thinks he’s found someone he shares some chemistry with—at least a friend, maybe even a girlfriend. Obviously, Eli is a vampire, but she starts to reciprocate Oskar’s feelings to an extent which surprises her. Considering how many years she has been undead, their relationship is more than a little creepy, but cradle-robbing is the least of her transgressions. Of course, events eventually intervene to separate the young and undead lovers. When Eli’s human familiar (and ostensible parent) gets gruesomely busted after botching a bloodletting, she makes a hasty departure, leaving a somewhat empowered Oskar to face his tormentors on his own. As filmed by Alfredson and cinematographer Hoyte van Hoytema, provincial Sweden in the dead of winter is a pretty spooky environment to start with. Adding the fear of the supernatural and the existential dread of adolescence, make for quite a dark and evocative film. However, if Right One will catch on with audiences, it will be with the art house set, more than horror fans. Throughout the film, horror conventions are deliberately subverted. Despite some intense scenes, much of the actual killing and bloodletting takes place just off-screen. We see tantalizing glimpses and glimmers of Eli swooping down on her prey, but a sense of mystery is faithfully preserved. When characters that need killing finally get theirs, it happens abruptly and framed out of full view, rather than in the drawn-out revenge fulfillment scenes one might expect of the genre. In fact, Right One is not truly a genre picture, but a truly idiosyncratic relationship film—Summer of ’42, as rewritten by Anne Rice. Still, Right One is quite appropriate for Halloween viewing, given its supernatural themes and eerily disconcerting ambiance. With a pile of film festival awards to its credit, including Tribeca’s best narrative feature, Right One also has plenty of cineaste street cred. It opens today in New York at the Angelika. Generation Myspace, your show has arrived. You are explicitly invited to take digital pictures during Ballerina Who Loves a B-boy, and post them to your social networking page. Beginning a limited run at 37 Arts last night, the Korean hip-hop “break-dancing” theatrical experience is in fact quite photogenic, which explains the producers’ confidence in the ultimate drawing power of such peer-to-peer image sharing. Ballerina keeps the story simple, telling it sans dialogue through dance. The narrative follows a Romeo & Juliet-style romance between a sheltered ballerina and a street wise B-boy, who performs with his crew beneath her studio window. However, the story as such, is not really the point. Rather, it is a showcase for the moves of the Extreme Crew, the past champions of many international B-boy battles. Their performance arsenal includes acrobatic air steps, tightly synchronized robotic “toprock” choreography, and held freezes requiring exacting strength and balance. Given the nature of the show, with its booming hip-hop (entirely pre-recorded) and constant exhortations to rouse audience enthusiasm, the poor ballerinas’ dance numbers are unfairly overwhelmed. They are actually excellent dancers in their own right, but their style is a bit too sedate for the B-boy extravaganza surrounding them. However, the only real acting per se comes from Eun Hae Yoo, as the ballerina who loves a B-boy, who has to emote quite a bit during nightmarish dream sequences. She proves she could have been a successful actress during the silent era. Still, Ballerina is clearly Extreme Crew’s show in no uncertain terms. They are a talented, high-energy ensemble, who delivers some spectacular moves. Though it is a large company, some individual personalities emerge from the crew, particularly the stocky B-boy, who seems to defy physics with his body type. However, as someone who knows something about marketing, I would recommend they use the Hip-hop girls, the trio of Soobin Kim, A Rum Park, and De Heen Choi, in their advertising campaign. Let’s just say that in addition to being talented dancers, they also have great stage presence, and leave it at that. Ballerina is a very entertaining show that brings plenty of flash and style. Its only fault might be the drea m sequences, which though quite distinctive visually, might be a bit intense for younger children, and seemed to drag on a bit, dissipating the audience’s energy-level. Still, the Extreme B-boys always return to what they do best, getting the show back on track with a spectacular set of steps. With its ultramodern concrete architecture, 37 Arts feels like the perfect venue for a show like Ballerina, given its hip, urban sensibilities. Currently, Korean B-boy stock is on the rise following the international success of films like Planet B-boy and Always Be Boyz. Ballerina is an impressive live vehicle for the Extreme Crew, with just enough narrative to give the show a sense of structure. Regardless of your stylistic preferences for music, you have to give them props for talent and showmanship. Now officially open, Ballerina runs through December 21st. Prior to Sunday night’s Lincoln Center screening of Katyń, Andrzej Wajda gave the audience a probably much-needed history lesson, explaining the Soviet-German alliance during the early years of WWII. When he concluded, Wajda received a well-deserved standing ovation. However, for his in-depth survey of Soviet crimes against humanity, including Soviet cooperation with the Third Reich, Latvian director Edvins Snore was burned in effigy by Neo-Soviet Russians. It is an ominous badge of honor. The film that you are not supposed to see is titled The Soviet Story (trailer here), and it opens in New York this Friday. Soviet Story acts as an effective corrective to the popular notion that the Communist experiment only turned horrific when Stalin ascended to power. The film documents orders mandating mass executions, estimated in the tens of millions, originating with the father of the revolution, Lenin. Still, it is devilishly difficult to outdo Stalin’s sheer capacity for terror. For instance, the deliberate use of famine to pacify Ukraine is explained here in chilling detail. In a crime against humanity largely ignored by the West, seven million Ukrainians were intentionally starved in the cordoned Republic, as foodstuffs were confiscated at gunpoint by the Red Army. The heart of Soviet Story explores the close ideological similarities and barbaric collusion between the Soviet Socialists of Stalin and the National Socialists of Hitler. There is an eerie sequence juxtaposing thematically similar propaganda posters from both regimes, side-by-side on-screen. Even more damning are the documents Snore uncovers establishing close links between the SS and the Soviet NKVD (the precursor to the KGD), discussing among other issues, the “Jewish Question.” They did not just talk. They carved up Poland between themselves, and at Stalin’s prompting, staked their claims to the rest of Europe. Snore has produced a chilling indictment of the Soviet experience with Socialism. He calls some very convincing witnesses, including Bukovsky, and the eloquent Cambridge historians Norman Davies and George Watson. As evidence, he produces some shocking archival film and documents. However, as the film makes clear, none of those who did (and still do) the Soviet dirty work has ever faced justice for their crimes. All told, Snore has produced a passionate but thoroughly reasoned case against the bloodiest regime of the twentieth century. His only misstep is the periodic use of animated titles, which feel like the commercial bumpers in a History Channel special. While this is a period of history I consider myself well versed in, Communist oppression was so ruthless and pervasive, Soviet Story was able to catalogue many fresh horrors I was not previously aware of. Probably the scariest aspect of the film is its timeliness, releasing as the Putin regime increasingly embraces its Stalinist roots. Everybody who wishes to continue thinking themselves well-informed should see this film. Since Soviet Story should be seen by a wide audience, I highly recommend seeing it opening weekend, when a strong showing could help it secure further distribution. Soviet Story opens in New York this Friday at the Village East Cinema. What happened in the Andes did not stay in the Andes. The entire world learned the sensational circumstances surrounding the harrowing survival of the “Christian Brothers” Uruguayan rugby team following the 1972 crash of their chartered flight high in the Latin American mountain range. Soon after their dramatic rescue, they held an emotional press conference in which they explained their food source during their long ordeal—the bodies of their fallen comrades. For some, that would be the last time they addressed the media, until a trusted friend, filmmaker Gonzalo Arijon, set out to tell their story in the documentary Stranded: I’ve Come from a Plane that Crashed in the Mountains (trailer here), opening in New York on October 22nd. As the subject of the book and subsequent film Alive, it is hardly a spoiler to reveal the survivors’ cannibalism. Stranded more or less assumes audiences will know that much of the story coming in. Unlike the Hollywood film, which is just an okay time-killer (written by Pulitzer-Prize winning playwright John Patrick Shanley), Arijon’s documentary truly conveys a visceral sense of the survivors’ experience, leading viewers through the story step by evocative step. The passengers on the ill-fated flight were nearly all friends or relations. At the time, they lived within blocks of each other, and largely still do today. Clearly, those multiply-reinforced bonds of family, friendship, school, community, and cultural identity played a large part in their survival—a point which comes through in several interview segments. Indeed, the survivors hung together, endured incredible hardships, and eventually sent the two stronges t among them, Fernando “Nando” Parrado and Roberto Canessa, on an arduous trek for help, over imposing mountain peaks in a desperate route that defies belief when seen through Arijon’s lens. In telling the story, Arijon’s access to the surviving survivors, both in one-on-one interviews and during their recent reunion at the crash site, makes the film a very personal document. Arijon elicits a number of details that constitute new information for those who only know the story through Alive, the movie. Stranded is also a better film from a technical standpoint, more effectively transporting viewers to that forsaken crash-site, thanks in part to the dazzling cinematography of the recreated crash scenes by César Charlone, another friend of several survivors, who nearly made the flight in question himself. The human stories here are about as real as it gets. To his credit, Arijon captures the high drama of the situation, but shows admirable sensitivity for his subjects. Stranded opens Wednesday in New York at the Film Forum. Tales of terror have always proved oddly compatible with the short film and anthology formats. One of the most beloved series from television’s golden age was The Twilight Zone, an anthology show of the supernatural, suspenseful, and bizarre. Horror movies have consistently revisited the anthology format with films like Creepshow and the campy Vincent Price Poe and Hawthorne adaptations of the 1960’s. Six stylistically distinct graphic artists have now joined forces to tell their fearful tales in the animated French anthology film Fear(s) of the Dark (trailer here), opening in New York this Wednesday. Anthology films are by their very nature uneven, but Fear(s) is unusual in that its four main stories are actually quite strong. It is the connective tissue that is weak. While that might sound like a happy trade-off, the framing device, be it the comic book in Creepshow or the sudden materialization of Rod Serling on the Twilight Zone, is a large part of the charm in this subgenre. Introducing the film and continuing between the self-contained stories are sequences of a blood-thirsty nobleman setting loose his rabid hounds on the terrified commoners. More cruel than chilling (at least certainly not in a good way), these segments quickly get repetitive. However, they give way to some much more satisfyingly creepy tales. The first real story is an uncanny riff on Kafka from Charles Burns. It nails the Tales from the Crypt story-arc, nicely building the tension up to a neatly unsettling conclusion. It is followed by Marie Callou’s manga-inspired tale of Sumako, a little girl terrorized by the ghost of a samurai (or is she? ), which might be the most genuinely disturbing and effective offering in the film. Smartly written by Romain Slocombe, it cleverly problematizes its on-screen reality, hinting at sinister doings in the evil hospital Sumako keeps waking up in, without ever fully tipping its hand. While the first two proper installments are the more story-driven (though certainly graphically striking in their own right), the third and fourth full segments derive much of their effect through their visuals. Lorenzo Mattotti’s impressionistic art compellingly evokes the childhood terror of the monster out there, in this case in the bog, and a sense of archetypal horror. Fear(s) concludes with Richard McGuire’s Old Dark House tale, which is quite dark indeed, relying on sound effects, stark images, and even a pitch black screen during one sequence. The weakest contribution to Fear(s) comes in the form of a pretentious monologue by Pierre di Sciullo accompanied by his geometric animation. Intended as a conceptual meditation on fear, it delivers annoyingly self-important angst like: “I’m scared of being irredeemably bourgeois.” Bein g trapped anywhere with such a person is truly terrifying to contemplate. Almost entirely black-and-white, Fear(s) is a very cool looking film. Despite the weakness of the interweaving material, the actual meat of Fear(s) is quite strong overall. Four out of six is not bad, considering the weakest links are also the shortest. Horror film and animation junkies should get a kick out of the work of Burns, Callou, Mattotti, and McGuire, but should bring ipods to listen to during di Sciullo’s whine. It opens in New York at the IFC Film Center on Wednesday. Kids today, with their video-phones and text-messaging. Life was not so easy for their elders, which for those in China often included periods of required marching and waving around little red books. Such generational divides lie at the center of the two companion films directed by Wayne Wang, best known for The Joy Luck Club and Smoke. The first, A Thousand Years of Good Prayers, a quietly elegant picture that lingers in the consciousness long after screening, is currently in theatrical release. The second, The Princess of Nebraska (trailer here, film here), is an okay film, currently available to viewers at the click of a mouse, free of charge at youtube’s Screening Room. Princess and Prayers share similar themes, with both subtly hinting at the profound and continuing disruptions caused by the Chinese Cultural Revolution in its characters lives. However, where the characters of Prayers were mature and painfully self-aware, those of Princess are young, and rather shallow and self-absorbed, particularly the main character Sasha, but in her defense, that might be changing. As Princess opens, Sasha arrives in the Bay Area to have an abortion. An international student in Nebraska, she was impregnated while still in China by Yang, a star in the Beijing Opera. Though we never see or hear him in the film, it quickly becomes clear how narcissistic and self-centered he must be. Evidently, bisexual as well, since it will be Boshen, his former American lover, picking up the tabs. Sasha is young and understandably confused. After ditching Boshen at a dreary dinner party, she starts walking the seedy streets of San Francisco, in search of enlightenment, or for lack of a better idea. Eventually, she meets X, a bar hostess, whom she accompanies on a hospitality gig that approaches geisha (oiran to be more accurate) territory. Eventually, she and X wind up in bed together, as Sasha’s phone records the proceedings, presumably to be sent to Yang in hope of generating a reaction, though none is forthcoming. (The use of the videophone perspective is a frequent motif, which honestly feels clichéd by now.) After her nocturnal detour, Sasha makes her appointment at the health clinic, where she meets probably the most frank and even-handed abortion counselor in the world, Claire, a brief part memorably played by Emily Beck. Ultimately, Princess ends on an ambiguous note. This is not Bella or even Juno (far from it). However, Sasha seems to come to the realization that her actions have consequences and moral implications, which is frankly an unusual place for a film to conclude. Ever so obliquely, this message is reinforced by the references to the Cultural Revolution, from an expat bartender, and X, as she relates her mother’s experiences in the film’s other particularly strong scene. As in Prayers, we ever so discretely see how the chaos of the past continues to influence the present. In a more macro sense, Sasha and her friends are growing up largely without an appreciation for tradition, because much of their cultural heritage was destroyed by the Cultural Revolution. Unfortunately, there is also a lot of aimlessness in the relatively brief Princess (even at an eighty minute running time). In terms of writing and acting, Prayers is the far superior film, so it makes sense it would be the one to receive theatrical distribution and Princess would get the youtube premiere. Still, it is at times an interesting film, and Pamelyn Chee deserves attention for her performance as X. Gorgeously shot by cinematographer Richard Wong, Princess is a finely crafted film that has screened at legitimate film festivals. For free on youtube, it is certainly of an entirely different magnitude than most of the home-movies of people slandering politicians or falling off ladders that you typically find on the site. It might sound like an invitation for bad karma to depict the all-time king of movie badness in a gender-bending theatrical piece, but there is a solid historical foundation for such poetic license. As a newborn, Bruce Lee’s mother gave him a female name to deceive the evil spirits thought responsible for the death of her first born son. Thus the Bruce Lee legend began, and also provided the seed of inspiration for Soomi Kim’s Lee/Gendary, in which she stars as Lee himself, now playing at the HERE Arts Center. Set against a minimalist background with projected video images, Lee/Gendary recounts Lee’s life through his deathbed flashbacks, from a scrawny, bullied kid to the Kung Fu movie superstar. Some of the best sequences of Lee/Gendary involve clever recreations of scenes from classic Lee films, particularly the fight with a young Chuck Norris in Way of the Dragon. Oddly, no specific scene from his final (and for many fans his greatest) film Enter the Dragon, gets such treatment, yet the film is an explicit touchstone for the play. Early dialogue from Enter is seamlessly integrated into Lee/Gendary, and the climatic scene parallels that of the film through its use of mirrors. With Airon Armstrong, Kim choreographed some fantastic Kung Fu scenes, which she performs fearlessly. She executes some dazzling acrobatic feats and takes a number of falls on what looks like an awfully hard stage. With extensive performance experience as a martial artist and dancer, Kim is totally credible in the role of Lee. To use a term fraught with double-meaning, it seems like Lee/Gendary plays it straight. In the context of the work, Lee is a man, just played by a woman. The vibe here seems more Jungian than Freudian, with Kim representing the feminine yin to the masculine yang of Lee’s personality. Indeed, we come to see that symbolic conflict played out on the stage. Despite its experimental nature, Lee/Gendary’s Kung Fu choreography has real crowd-pleasing potential and director Suzi Takahashi keeps things moving at a good pace—it could even prove successful in a larger, more commercial Off-Broadway venue. Kim is enormously talented and displays true stage presence. Her only problem in Lee/Gendary is that members of her supporting cast sometimes have trouble keeping up with her high level of performance (a problem Lee also faced in some of his films). The noteworthy exceptions are ensemble members Shing Ka, who eventually plays yang to Kim’s yin, and Constance Parng as Betty Tingpei, the Taiwanese actress in whose apartment Lee died, and with whom he was having an affair, at least according to Lee/Gendary. Heightening the atmosphere of Lee/Gendary is the original (but pre-recorded) music, which will be of interest to jazz and experimental music listeners. Featuring work composed by Jen Shyu, best known for her work with Steve Coleman and Five Elements, as well as jazz guitarist Adam Rogers, w hose extensive credits include the Mingus Orchestra, Lee/Gendary’s score is often moody and disconcerting, but at times suggests the funky soundtracks of Lee’s classic films. However, the live tabla accompaniment of Dibyarka Chatterjee most effectively lends urgency to the on-stage action. Kim knows her Bruce Lee, which results in an adventurous but respectful treatment of his life. Her work here is very impressive and definitely recommended, especially if you already have a fondness for Lee’s films. It runs at HERE Tuesdays, Wednesdays, and Thursdays, through October 30th. It is not exactly Cannes’ Un Certain Regard, but in its own way, the Pioneer Theater’s Schlocktober Fest is offering up some interesting program. In addition to gory slasher and exploitation fare, some chosen films do boast legitimate festival pedigrees. One such film is Isidro Ortiz’s Shiver (trailer here), which received its New York premiere last night at a Fangoria sponsored screening, in advance of its DVD release later this month. Spain has suddenly become one of the leading exporters of horror films (is that like “sporror?”), and Shiver has the right lineage in Ortiz the co-director of Fausto 5.0, Junio Valverdi the star of Devil’s Backbone, and production designer Pilar Revuelta, known for his work on Pan’s Labyrinth. Set amidst a wooded valley in Northern Spain, the film’s look is quite eerie, contributing to some very creepy early scenes. In less enlightened times teenaged Santi would be hounded as a suspected vampire. He suffers from severe photo-sensitivity, which is why he and his mother relocate to the isolated valley, obscured by clouds and shadows. It is a grim place, but it allows him to attend school during the day for a change. However, there is not peace in the valley. Something in the woods has been butchering sheep, and escalates to people inconveniently around the time Santi moves into town. Shiver starts out as a highly effective little horror film, making the most of its Twins Peaks ambiance and coldly austere sets. Unfortunately, once Shiver shows what the “it” is, the film loses much of its bite. Since the audience sees the thing in the woods well before the picture’s halfway point, it is not much of a spoiler to reveal it is a feral girl-child wreaking such death and destruction. Essentially, Shiver is the Spanish horror version of Truffaut’s Wild Child (which incidentally will have a revival run at Film Forum in November). Ortiz still holds the film together fairly well, even though the “monster” often looks ridiculous. He stills builds situational suspense, even when resorting to clichés like the shaky camcorder footage recorded in the ominous woods. At least when his characters break the rules of horror movie surv ival, they know what they are doing, and do not feel good about it. His young cast is generally credibly, including Valverdi as a reasonably likable Santi, despite his occasional whiny angst. Although undercut at times by the visual weaknesses of it’s peculiar “wolf in the woods,” Ortiz and Revuelta maintain the spooky vibe throughout Shiver, raising it several cuts above the standard genre fare slated for release this Halloween. It seems odd it will not have a real theatrical run before its impending DVD release, since the success of films like The Orphanage and Pan’s Labyrinth would seem to have primed audiences for more Spanish horror. While not as accomplished as those films, as a horror programmer Shiver has its merits. Those who do not associate the accordion with jazz, have never had the pleasure of discovering great jazz accordionists, like Frank Marocco, Leon Sash, and Gil Goldstein. Unfairly maligned as an oompah instrument, in the right hands the accordion can bring remarkable texture and depth to music, appearing frequently on genre-defying ECM sessions led by Eleni Karaindrou and Anouar Brahem, among others. Accordionist Frode Haltli has himself recorded for the label as a leader and with reed-player Trygve Seim’s groups. Something clicked when the fellow Norwegians played together, leading them to form a duo for festival engagements. The success of those performances culminated in the recent release of their first strictly duo recording, Yeraz. Although Haltli has often played with jazz artists, his music is often classified with terms like “improvisational” and even “classical.” Both artists share an interest in various forms of folk music and are equally comfortable with both largely through-composed and freely improvised music, which is evidenced on Yeraz. Starting with the improvised prelude of “Praeludium,” the duo then segues into a medley of two compositions by controversial Armenian spiritualist G.I. Gurdjieff, “Bayaty” and “Duduki.” At times, Haltli’s accordion evokes an old world ambiance on the former, whereas the duo lock-in for the trance-like “Duduki,” suitable for the whirling dervishes that once inspired the composer. 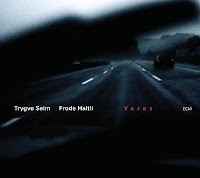 Seim and Haltli also draw on Armenian source material with the traditional title track, “Yeraz,” with Seim’s plaintive tone and Haltli’s organ-like sustain suggesting a dirge or requiem. The following “L’Altria Storia” again features an extended prelude from Seim, introducing one the more distinctive melodies of the session. An intriguing composer, Seim’s originals suggest diverse influences, like the appropriately eccentric Tom Waits tribute, “Waits for Waltz,” which also showcases some of his most full-bodied jazz tenor work. There are some arresting moments in Yeraz, as well as some surprisingly catchy music. Though the spacious duo format can sound somewhat diffuse at times, the combination of Seim’s saxophones, tenor and soprano, combined with Haltli’s accordion creates a consistently exotic and rewarding sound throughout. It turns out precocious kids are just as annoying in Swedish and Finnish, as in English. This does not necessarily have to be the case. Bázo, screening tomorrow at Scandinavia House, features strong performances by Issath and Jussi Juakim Gaup as the newly orphaned Kevin. That Special Summer (Kid Svensk, Swedish trailer here), the concluding film in the Rural Route Film Festival’s Scandinavia House series, is not so fortunate. Kirsi, nick-named Kid, is in fact a seriously mixed-up youth. Fluent in Swedish and comfortable in her Swedish environment, she has grown apart from her Finnish mother Ester after her father’s untimely death. Of course, some bonding during a week’s vacation in the Finnish countryside will surely fix everything. Traveling with Ester’s tarty best friend Sirkka and her metal-head son Jamppe, Kid’s disposition does not improve. Their picturesque plans for the trip involve opening an impromptu restaurant to cater to the motor rally that will pass right by their summer house. Ester also hopes to rekindle romance with her old flame, Sirkka’s brother Markku. In fact, she is seriously considering staying in Finland, a decision which would not thrill Kid. Happily though, all their deep-seated emotional problems are nicely resolved within the five day trip. Summer is a mostly harmless coming of age tale, except for the constant sexual tension between the teenaged minors, which just gets a little creepy. However, it is also a little light on consequences for Kid’s constant acting out, notably including some reasonably significant larceny. It is what it is. Bázo in contrast, is both more substantial and ultimately more rewarding. Very respectable child actors, the Gaup twins are among several young actors who contributed strong performances to films in the rural Scandinavian series. Sara Langebæk Gaarmann and Lucas Munk Billing were quite credible as the young leads in the Danish adventure-special effects film Island of Lost Souls. Part icularly impressive were Hera Hilmarsdottir and Jörundur Ragnarsson as the truly troubled teens of Quiet Storm. In comparison to the previous films in the series, Summer is a bit slight. Over all though, it was a strong slate of films. Again, one of the strongest, Bázo, screens tomorrow, while Summer screens this Saturday. The Sami—don’t call them Laplanders—are well assimilated in Northern Europe, but remain stereotyped for their traditional reindeer-herding livelihood. It turns out they also have an unexpected talent for revenge in Bázo, a Norwegian production largely set in Sweden, screening Wednesday at Scandinavia House, in conjunction with the Rural Route Film Festival. Bázo is a Sami expression for the mentally slow. It is not exactly an affectionate nickname, but Emil is stuck with it. Even his brother Kenneth uses it, but he is not much of a brother, only occasionally visiting Emil and their father to show off his new Mercedes and girlfriend, pretty much in that order. Still, when Kenneth dies under mysterious circumstances, the not as dumb as he looks Emil sets out to do right by his brother. Dismissed as borderline retarded, Emil may have little formal schooling, but he fully understands concepts like honor and compassion. Travelling down to the big city, Emil discovers some unsavory underworld characters have claimed much of his brother’s property. He is able to take possession of the Mercedes, a shotgun, and Kevin, the nephew Emil never knew he had. At least, the shotgun and the car will come in handy. Emil is not the hulking tough guy his size and reticence might suggest. Frankly, he just takes one beating after another. Though not a fighter, he might just make a decent surrogate father, if he is allowed to keep Kevin, and is not killed by henchmen working for the mobbed-up councilman behind his brother’s death. Bázo is not a revenge movie in the style of Get Carter. Strictly speaking, it is a character study of the shy Emil, played by Sverre Porsanger in a powerful but understated performance. Still, when the so-called “Bázo” starts taking care of business, it is reasonably satisfying. More than just some entertaining payback, Bázo has some beautifully acted little moments. For instance, Ebba Joks makes a strong impression in the small role of Irene, a sympathetic waitress, who shelters the stranded Emil and Kevin one night. In a memorable scene, she and Emil drink beer while sitting i n the dark, on her kitchen floor (beneath the windows), as her abusive ex-husband pounds on the front-door screaming threats at her. It representative of what the film is about: under-dogs living a twilight existence. Directed with more sensitivity than flash by Lars-Göran Pettersson, Bázo still makes effective use of its desolate Northern Swedish locales. It is definitely a rural film, and probably the best of the Rural Route’s series at Scandinavia House. It screens this Wednesday at 6:30. Istanbul is a beautiful city for tourists, but not for the down and out. The streets are mean and the living is hard for the title character of Riza, which screened last night at the New York Turkish Film Festival. Painstakingly filmed by director Tayfun Pirselimoğlu, it might be an effective calling card for Turkish cinema, but not for the Istanbul Chamber of Commerce. Riza is a heavily leveraged truck driver facing complete financial ruin. When his rig breaks an axel in Istanbul, the garage demands ten grand up front for the repairs—cash Riza does not have. If he can not make his next run, he will not make his payments, thereby forfeiting his truck. Desperately trying to raise the money, Riza beseeches his few acquaintances for a loan, but to no avail. Not that he is particularly surprised, given that his contacts are primarily business associates and Aysel, a former lover he walked out on years ago. Eventually, in a moment of panic-stricken madness, he commits an unforgiveable crime, which victimizes people even more vulnerable than himself. The first half of Riza is all about the trucker’s desperation and the second half is driven by his guilt. In short, it is a festival picture. Slow and cerebral, Riza is not destined for mass audiences. Pirselimoğlu establishes his decidedly naturalistic vision through his grim locations, particularly the stifling low-rent hotel (more like flop-house) where Riza finds himself trapped in limbo. As Riza’s guilt festers, he comes to resemble a Turkish Raskolikov, yearning to confess his crime. Yet his solitary life makes it difficult for him to find someone to unburden himself with. Though the sta nd-offish Riza is a difficult character to embrace, even before his crime, Pirselimoğlu labors to make him sympathetic, positioning the film in a moral netherworld where survival trumps all other concerns. Challenging but somewhat problematic, the quietly deliberate Riza is a film cineastes will greatly respect, but they will have difficulty loving it. Along with several other films in the festival, it suggests a decided bent towards social criticism in contemporary Turkish cinema, with films like Riza critiquing the callousness of modern society, and others like Bliss decrying the violent extremism of traditional life. It all results in some intriguing cinema. Here is the situation: innocent women accused of witchcraft by men who find them “inconvenient,” are forced to prove their innocent through harsh rituals or suffer banishment or worse. The setting: 1690’s Salem? No, it is Burkina Faso today. Inspired by documented cases in Burkina Faso, S. Pierre Yameogo’s Delwende (now screening at MoMA) casts a critical eye at the cruel and discriminatory practices excused in the name of tradition. As Delwende opens, the village of Saana appears untouched by time, except for its sole link to the modern world, a portable radio, on which intermittent news reports warn of a meningitis epidemic plaguing the region. However, for the elders of Saana, witchcraft will prove a handier scapegoat for the recent deaths of village children. Sixteen year-old Pougbila is raped following a village celebration. Shortly thereafter, her father Diarrha marries her off to a much older husband in a nearby village. The rapidity of events arouses the suspicions of Pougbila’s mother Napoko, but before she can act on them, a village ceremony declares her a witch. As a result, she is cast out of Saana and denied food and water by the suspicious neighboring villages. Even her family elders spurn her, in supposed deference to the will of their ancestors. Only Pougbila rallies to her defense when word of her mother’s plight reaches her. Determined to confront her father for his treachery, Pougbila must first find Napoko, presumed to have taken refuge in one of the squalid shelters for accused witches in the capital city of Ougadougou (one such shelter provides the film’s title). When Pougbila reaches the city, the film finally shows some of the outward trappings of modern life, but many of the same superstitions and prejudice persist. Delwende actually picks up steam as it goes along. 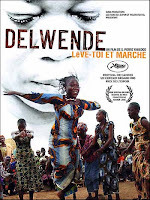 Although best described as an issue film, Pougbila’s determination that “the truth will out” gives Delwende a strong pursuit-of-justice narrative drive. As a call for “change,” it is also pretty effective. Napoko’s scenes of suffering in the wilderness and the callousness of her family and neighbors are difficult to watch. Frankly, some busybody Christian missionaries who will have no truck with superstition or cultural relativ ism would have been a welcome relief. Yameogo frames some striking visuals and facilitates some fine performances, most notably from Claire Ilboudo as the determined Pougbila and Thomas Ngourna as the wise village fool, under whose watchful eyes the story unfolds. Grim and naturalistic in the extreme, Delwende does produce a measure of hope in its discreet but satisfying conclusion. It screens through Monday at MoMA. Lord Acton’s words are often worth visiting: “Power tends to corrupt and absolute power corrupts absolutely.” That axiom is well born out in Death Note, the first of two enormously popular Japanese films based on the manga series of the same name, now available on DVD. Killing can be strenuous, messy work, but if a potential sociopath discovered a way to safely and effortlessly commit murder, it might be hard to stop once they started. The Death Note notebook allows one to do just that. Brought to Earth by the death god Ryuk, anyone whose name is inscribed within will die in the manner set forth by the writer. Certain rules do apply. The user must have both the victim’s name and their face in mind while writing, preventing the possibility of hundreds of thousands of John Smiths dying simultaneously from the mere stroke of a pen. The Death Note has fallen into the hands of Light Yagami, a brilliant law student disillusioned by the rampant crime and injustice plaguing society. At first, he uses the note book to dispense vigilante justice, with the hearty encouragement of Ryuk, visible to him alone as the owner of the Death Note. Referred to as Kira by a clueless media, Yagami’s rough justice drastically reduces crime around the globe, proving quite popular with the general populace. However, the police are not amused, reluctantly accepting the aid of “L,” a nameless, faceless detective who communicates via laptop with the help of his elderly majordomo. Eventually L reveals himself to be a reclusive teenaged genius, but keeps his name a well guarded secret, which of course is highly significant to the rules of the Death Note game. It is the strict observance of its rules that makes Death Note a surprisingly effective thriller. Those rules are clearly defined from the beginning and film never cheats. As a result, it sets up some very clever cat-and-mouse sequences, steadily raising the stakes as the story unfolds. It is also at times a chilling examination of evil, dramatically illustrating Acton’s dictum. Certainly Yagami begins his reign of terror with the intent to dispense justice, but he very quickly demons trates his readiness to kill law enforcement officers, guilty only of trying to stop his madness. By the time Death Note reaches its climax, Yagami ranks with Hannibal Lecter for sheer manipulative evil. Tatsuya Fujiwara is creepily effective as the seemingly innocent Yagami and Shusuke Kaneko’s direction is crisp and tight. This is a smart, intense film that pulls viewers through at a brisk pace (even with Ryuk’s cartoony CGI). However, the ending is a bit unsatisfying, resolving nothing except that the sequel is sure to follow. It works though, solidly planting the hook for the next film, Death Note II: the Last Name, which will play a special two night theatrical run through Fathom Events (the Opera simulcast company) on October 15th and 16th. Confine two insecure couples engaged in various forms of deception in one sparsely furnished apartment, and angst-ridden tension is bound to result. Such is the case for lovers Ender and Gül, and their married friends Veli and Selda, whose dysfunctional relationship issues play out over a ten year period in Ümit Ünal’s ARA (Turkish trailer here), screening Friday at the New York Turkish Film Festival. Given the unpleasant memories it holds for her, Gül has mixed feelings about the Istanbul apartment left to her by her grandmother, but keeps it for the revenue she earns renting it to film crews in need of a domestic set. It also makes for a convenient location for parties, romantic assignations, and other clandestine meetings, but it is a cold, loveless place, much like the larger spiritual vacuum the characters inhabit. After years spent in Paris, Gül returned to Turkey, where she becomes romantically attached to Ender, who resembles a sort of Turkish Ricky Gervais or Jason Alexander without the sense of humor. His best friend and business partner, Veli, married Ender’s childhood friend Selda. On the surface, the two happy couples appear to be perfect friends. However, Gül suspects Ender is sleeping with Selda, which he is, while Ender suspects Veli has designs for Gül. Actually, Veli’s eye is wandering elsewhere, but they do share confidences that are quite intimate. There are many deep-seated issues undermining these relationships, not the least being a case of closeted homosexuality, which ARA addresses quite frankly. Inspired by Harold Pinter’s Betrayal, ARA does not precisely parallel the play’s time-in-reverse structure, instead freely skipping back and forth through its ten year period. With nearly the entire film restricted to one set, ARA might sound stagey, but Ünal’s direction draws the viewer in quite effectively. However, several times he drops hints that appear to foreshadow impending violence, which in fact never materialize (at least in a physical sense). Along with an ending that feels somewhat abrupt, this impression of unfulfilled menace leaves the audience off-balance and somewhat confused. However, the brief clips of the commercials and low budget features filmed in the apartment interspersed between each scene, create an intriguing “if-these-walls-could-talk” effect. Selen Uçer’s Gül is a convincing portrait of desperation and uncertainty. However, as Ender, Ender Akakçe’s constant bombast seems a bit off pitch. In contrast, Serhat Tutumluer gives a nicely understated performance as the conflicted Veli and Betül Çobanoğlu brings surprising nuance to the seemingly immature Selda. While ARA lays bare the fears and anxieties of its characters, it is ultimately a more intellectual than emotional viewing experience. It screens at Anthology Film Archives this Friday, with lead actress Uçer and director Ünal in attendance. Sometimes American perceptions of British culture might be overly influenced by PBS reruns of Mr. Bean and the like. If you do not think of Brits as robust swinging jazzmen, you have missed some great music from the likes of Tubby Hayes and Don Rendell. You also probably have not been on the club or festival scene much in recent years, where British bassist Dave Holland’s bands have consistently been among the top headliners. 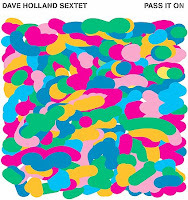 After reconfiguring his regular working group into a sextet, Holland has recently released Pass It On, his first CD featuring the new line-up. While the front-line of his new group are all frequent past collaborators, Holland has made some notable changes in the rhythm section. In a departure from past combos, the bassist added Mulgrew Miller, filling a piano chair usually left vacant in his groups. Holland rounded out his section with drummer Eric Harland, a musician he had played with on only a few prior sessions, but it was clearly enough to make an impression on the leader. Trombonist Robin Eubanks’ upbeat, rhythmically complex “The Sum of All Parts” leads off Pass, featuring some intriguing interplay between the composer, trumpeter Alex “Sasha” Sipiagin, and Antonio Hart on alto. The invigorating vibe continues with Holland’s original “Fast Track,” showcasing Miller’s dazzling runs. It is representative of the fresh, buoyant music that has characterized Holland’s recent work. The balance of Pass consists of previous compositions Holland revisited in new arrangements for the sextet, including two tribute pieces. The title track is a funky dedication to drummer Ed Blackwell, whom Holland played with in groups led by the adventurous vibraphonist Karl Berger. Harland and Miller keep it bouncing along nicely, with the leader and Hart taking some expressive solos. The second tribute piece is “Rivers Run,” composed in honor of multi-reed artist Sam Rivers, with whom Holland frequently recorded, including the avant-garde classic Conference of Birds. Easily the most diffuse and explorative track of the session, the passionate “Run” still sounds comfortably grounded in the post-bop tradition of the late 1960’s best exemplified by the second great Miles Davis Quintet (Holland himself would be hired by the trumpet legend shortly thereafter). Though Holland may have fined tuned the instrumentation, Pass is still highly accessible, in keeping with the bright, crisply swinging music that made his evolving group one of the top draws on the jazz scene over the last decade and a half. Holland’s Sextet (with Miller on piano), conclude their recent tour with a four night stand at Birdland starting this Wednesday, the 8th. There is a reason Sweden has never been known as the world’s breadbasket. The land is rugged and the weather can be harsh. At least it is around Stig-Anders’ farm in the Scandinavian country’s rocky, forested Småland region. His is a hardscrabble life, but it holds a certain austerely poetic quality, as captured in Peter Gerdehag and Tell Johansson’s documentary, The Horseman (Hästmannen, trailer here), screening tomorrow at Scandinavia House, in conjunction with the Rural Route Film Festival. A man of nature and tradition, Stig-Anders does things the hard way. Eschewing tractors because they compress the soil, he uses horses to work his fields, just as his father did before him. However, as the sole hand on his ramshackle farm, the taciturn farmer’s strength is starting to fail him. Attempting to save his livestock during a severe blizzard, Stig-Anders is hobbled with severe frostbite. With his way of life in doubt, Madelene, an old friend, steps in to help the demoralized horseman return to his farm. Although appearing fearsome and anti-social to outsiders, Stig-Anders is a gentle soul, who easily stirs the audience’s sympathy during his plight. Horseman is a quiet, deliberate film. Gerdehag and Johansson’s camera lovingly lingers on Stig-Anders as he tills his fields and clears brush in the nearby woods. His isolated corner of the world is truly far-removed from the clamor of campaigns, media, blogging, and the rest of the noise from the hyperkinetic global culture. There is something quite engrossing about his ascetic life. How quickly you snap out of it after the screening depends on the degree to which a life of such simplicity enforced by nature’s capriciousness resonates within you. Horseman is a discreet film that treats its subject with dignity and compassion, but it requires no small measure of patience as it slowly runs its course. However, there is probably no more fitting film for a festival dedicated to rural Scandinavia. It screens tomorrow and Saturday at Scandinavia House. The modernization of Turkey is generally considered a positive development, but there is a dark-side to such social progress. The rise of organized crime would be one such unwelcomed innovation, as would the disrespectful nihilism of the next generation of criminal entrepreneurs. It is such forces that come to the fore in the very contemporary drama Love and Honor (Kabadayi, trailer here), screening Tuesday at the New York Turkish Film Festival. Do not call Ali Osman a Mafioso. He was a gangster who ran his operations on his own terms, without the patronage of the mob or corrupt officials. A true man of respect, at the height of his power, what he said went. Eventually, he did his time and lived to tell his stories. However, he will not remember them much longer, as his mind is giving way to the ravages of age. The widower Osman’s twilight years are quiet, spent drinking with old comrades or managing the charity soup days at his club. His best friend Haco can see he is slipping, but Osman is essentially resigned to his fate, until his past intervenes. On her deathbed, his lost love reveals he fathered her estranged son Murat before serving his prison sentence. At first, the annoyingly petulant Murat is less than overjoyed to meet his real father. However, when Devran, an unstable gangster obsessed with his girlfriend Karaca, shoots up their hipster club murdering the owner, Murat finds himself in need of Ali Osman’s protection. Devran is a rabid animal, fraying from the stress of his unreciprocated passion and the blackmail of an unscrupulous racketeering cop. When he snaps, it gets ugly, but as an ostensible informer, he is protected from arrest. Finally in Osman, he encounters a foe who does not respond to threats or intimidation, because the former boss’s own body is fatally betraying him. Şener Şen gives a richly nuanced performance as Osman. He is Keyser Söze with a social conscience, but Şen’s portrayal is completely humane and believable. Director Ömer Vargi shows a deft touch with much of the drama, playing down business like the Polaroids Osman takes in anticipation of his impending memory failure, rather than making them overwrought “acting” moments. As Osman, it is Şen’s film, but he has effective support from the Turkish character actors playing his old cronies, particularly Rana Cabbar as Haco. Still, this is not a Turkish version of Kirk Douglas and Burt Lancaster winking their way through Tough Guys. The stakes are high, but life is cheap in Honor, with the tragedy quickly compounding. Ali Osman is one of the great screen characters of recent years. We never learn precisely why he carries such terrible guilt with him, but we come to understand him perfectly. In a powerful screen performance Şen dwarfs the rest of the cast, elevating the crime drama to the level of high tragedy. Like Bliss, Honor is quite an effective representative of contemporary Turkish cinema. It screens at the Anthology Film Archives on Tuesday. Although AMG categorizes Christopher Washburne as a jazz musician and he is known for leading the Latin jazz band Syotos, the trombonist and Columbia University academic has worked as a sideman in New York salsa bands for many years. As a result, Washburne has a unique part-insider, part-outsider vantage point on the music, which informs his new scholarly analysis of the music, Sounding Salsa. In truth, Sounding has elements of two separate books for very different audiences. Much of Washburne’s sociological analysis of Salsa is preoccupied with issues of racial authenticity and exclusion. Most familiar with the Fania glory days will probably have some idea of how salsa expresses Hispanic empowerment in general, and Puerto Rican pride in particular. Washburne dedicates much of his time to such discussions, which quickly become repetitive. “UNION REP: Who was the producer and what label was it for? CW: Ralph Mercado, RMM and Sony Records. Isn’t Sony a union signatory company? CW: Insulated. What is that supposed to mean? Clearly, Washburne loves the music and respects his fellow musicians, so he would be uncomfortable writing a book that might be uncharitably described as an expose. However, revealing secret union deals and dangerous working conditions should benefit the musicians, who find themselves in the literal line of fire, yet do not receive the proper residuals for their studio work. After reading Sounding I would very much like to see Washburne write a book for wider audiences that explores these issues in more depth. The book he has written is somewhat uneven, but at times extremely eye-opening.